I was all full of vim & vigor at the beginning of the week and now that it’s Friday, I’m crashing. Fortunately, I know this is how I roll (pun intended), but it’s definitely time to make a few adjustments. I think the big differentiator this week for me was that I didn’t work out that much (O.K., at all. Walking the dogs for 25 min at night doesn’t quite constitute the work out I was hoping for). I think it’s time to start setting the alarm again. As much as I prefer to work out in the morning, I’m hitting the gym this afternoon (which will no doubt give me a boost for the rest of the evening). I’m craving the energy I get from physical activity (btw, this is my personal motivational pick me up to myself right now too! haha). What has amazed me more than anything recently is what is coming from the efforts I’m putting into connecting and creating stronger relationships online. There was a time when I didn’t put much effort into doing this because I was “busy working” (at least that’s what I told myself). I had my own ‘stuff’ going on in my head about why I didn’t jump in and connect, whether it was through a social conversation, email outreach, or simply sending a message to someone through their site. My hesitation had to do with my ‘imposter syndrome’ feelings, which are pretty non-existent these days (not in all areas, but most). The reason I don’t feel that anymore is that I’m consistently showing up and doing the work. The confidence you gain when you ‘walk the walk’ can’t be faked. Let’s take the above topic of exercise as an example. The energy I get from a workout will last and has long term benefits. The coffee I drink in the morning might help me wake up, but it’s nowhere near as beneficial as working out. The same is true about your business. You can read and study all of the strategies and methods for growing a business but if you never apply them (consistently), you’re never going to feel good about teaching them or having someone pay you for that service. So, much like my practice of consistently publishing and creating (email, content, whatever), I’ve made a very conscious choice to create new relationships online (as well as nurture the existing relationships). If it weren’t for my dear friend, Sandi Eveleth, I don’t know that I would have stepped into this as fully as I have. Sandi is AH-MAZING at connecting people, having conversations, reaching out, and putting people first. She’s always been a champion of mine (for which I am truly grateful) and because of a recent suggestion of hers, I landed an interview on a podcast that has extended my reach. 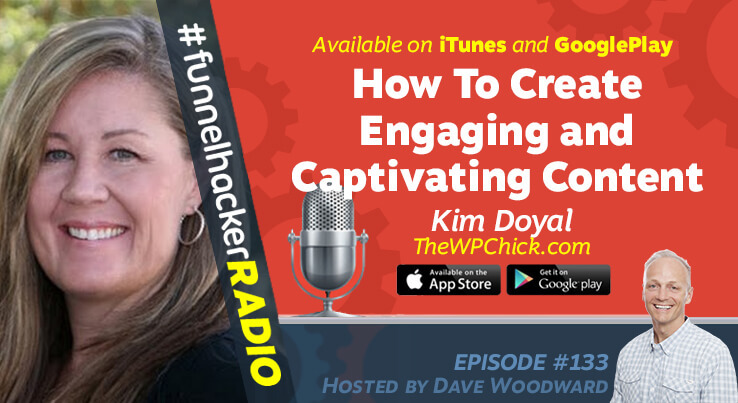 The interview I’m referencing was for the Click Funnels Radio Podcast (#funnelhackerradio) with Dave Woodward, and it went live yesterday! WOOHOO! 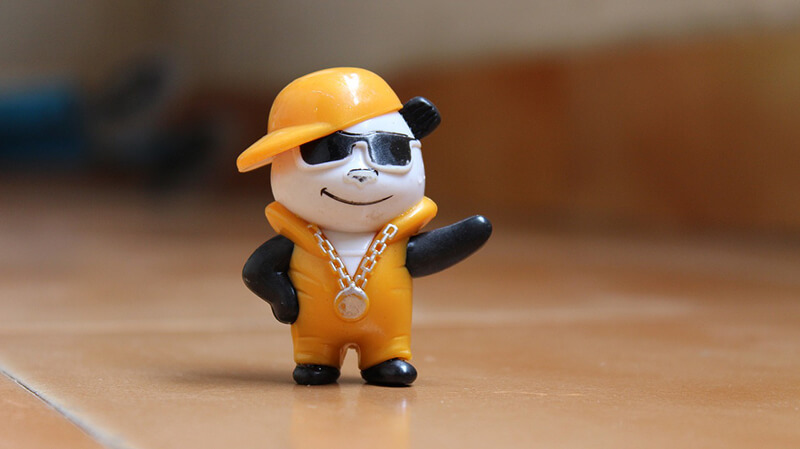 The rock star status was a fun comment from my friend Hani in my Facebook group this morning when I shared the interview… I can guarantee you as awesome as I might think I am (at times), I’m not calling myself a rock star. KIDDING! I jest… (clearly I need more coffee). I’d love it if you could share it, leave a comment… whatever works! Sandi is pretty amazing! 🙂 I’ll be getting some rest this weekend… AND exercise! Thanks, you two! Lucky to have you both in my life… as mentors and, more importantly, friends. I can totally relate to having imposter syndrome. I have it in many parts of my life. In several aspects of my life, it only went away when I put the time and effort in to see some results and could be confident in what was happening. It’s amazing what results and confidence consistent action can bring. It was amazing how the imposter syndrome more or less dropped away when the work started speaking for itself AND… more importantly, I had proven to myself that I was willing to do the work, consistently.